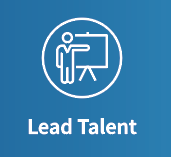 As Managing Partners of Harrison Assessments, we’ll help you acquire and on-board the right talent, develop, lead and engage your people. Harrison’s award-winning, cloud-based technology provides secure, job specific predictive analytics that enhance the candidate and employee experience. 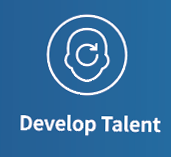 Our assessment science and technology saves you time and money, while enabling you to hire the best candidates and target development needs. The unique methodology of the enjoyment performance theory (focusing on behavioral preferences) and the paradox theory (focusing on interpersonal, achievement and leadership behaviors) improves one’s ability to predict success and inspire performance. Automate your selection process and use predictive data and interview guides to direct your hiring decisions. 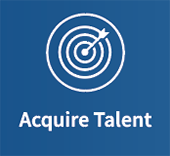 Harrison’s Talent Acquisition solution enables you to hire the right talent – and do it quickly. Filter and rank the best candidates before you review resumes or interview. Quickly identify, interview, attract, and hire the best candidates using predictive analytics. Our award-winning recruitment technology pre-screens applicants for qualifications and job specific behavior providing actionable data for effective decisions. 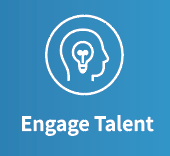 Identify critical engagement & retention factors and target develop plans across individuals, team and organizational culture. Harrison provides powerful insights to develop individuals and organizations. These analytics are used by our customers globally to maximize their talent development budget. For individuals this includes role placement, executive coaching, performance development, individual development plans, employee engagement, leadership capabilities, and behavioral competency development. For organizational development this includes a deep analysis of leadership capability, talent pipeline, succession planning, team development, organizational engagement, and talent retention. Ensure your leadership team has the skills to execute your organizational strategy and maximize the performance of your people. Leaders are required to manage apparently conflicting needs on a daily basis. Paradoxical Leadership methodology allows managers to understand this balancing act and expand their leadership capabilities to maximize organizational performance. Leaders gain the essential understanding of their behaviors and stress responses that can make or break the organization. Paradox Technology accurately determines whether a person’s strong behavioral traits are genuine strengths or costly derailers. This determination is a crucial consideration most traditional assessments fail to make. Understand whether key engagement expectations are being met and what action you need to take at both an individual and group level. 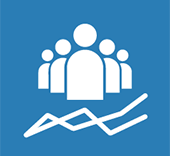 Harrison’s organizational development analytics enables you to assess key talent functions by manager, department or the entire organization. It empowers you to build effective teams, create an engaged culture, develop behavioral competencies, and retain top talent.